Oak and acrylic racks add warmth to any room while displaying magazines and literature. Literature racks are constructed with solid oak sides with a state-of-the-art finish. Clear acrylic front panels hold literature neatly in place. Pockets are 9" wide for magazines and 2" deep. 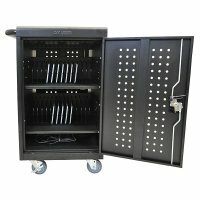 All racks are predrilled with screws and wall anchors included for simple wall mounting. 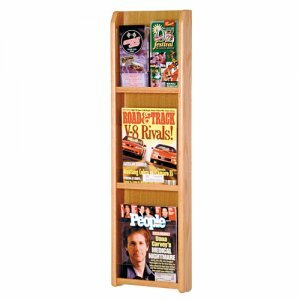 Wooden Mallet's wall mount magazine racks offer warmth and style when displaying magazines in your lobby. Unique overlapping design neatly displays and organizes magazines and literature, keeping them tidy and visible in the least amount of space. Available in three designer colors to coordinate with any decor. Manufactured by: Wooden Mallet Inc.